Former Brands2Life (B2L) tech MD Dan Chappell has launched a tech-focused PR agency, with seed investment from Brands2Life founders Giles Fraser and Sarah Scales. Called Deconstructed.PR and located at the Uncommon building near London Bridge, the agency launches today with four staff and three clients, including software company OmniSci. PRWeek understands Deconstructed.PR will maintain a close relationship with Brands2Life and, in the launch phase, use some of its back-office services. Fraser and Scales will sit on the board. The agency is described as "a new type of PR for the modern age". Chappell said: "Disruptive technology change is hitting business, environmental, lifestyle and political agendas head on, to create a new set of PR challenges. Brands seeking to shape cultures and acquire new customers, plus build a brand and drive real growth, need a new type of PR agency for the modern age. "All the old assumptions about what will or will not work are no longer relevant. Brands need an agency partner who can declutter their communications, extract the core of what matters, then reconnect and reframe PR on what will make a difference right now. 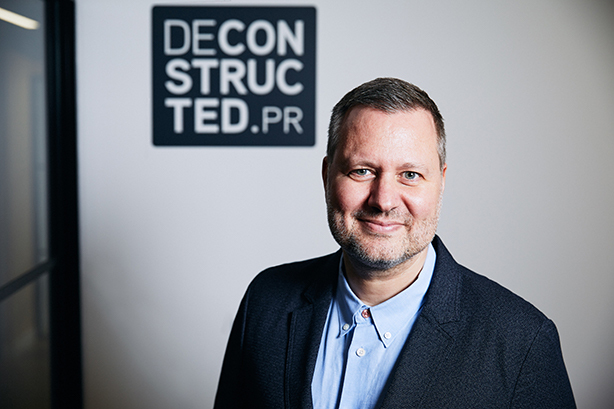 It’s why we formed Deconstructed.PR – To deconstruct your challenge, discover your opportunity, deliver against business goals." Chappell spent 16 years at Brands2Life in a number of roles. Fraser said: "Dan made a massive contribution to Brands2Life over the 16 years he spent with us, so Sarah and I are very pleased to be able to support him in the next chapter of his career. We wish him every success."